This Sat. 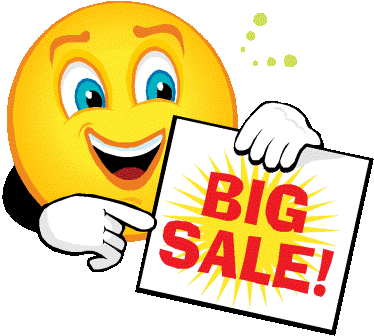 & Sun., July 21st & 22nd, 2012, take 20% off most Forklift items with orange price tags. This includes almost everything in the warehouse! (Sale does not apply to select specialty items, items with missing or damaged price tags, or items from our consignment partners. Discount cannot be combined with other sales. Remember, YOU are responsible for loading purchases into your vehicle).